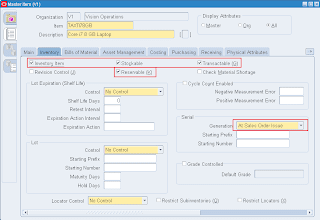 Serial - Select if item is serial controlled. 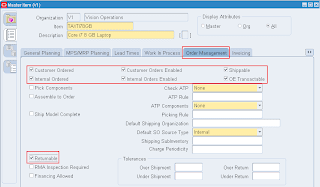 If Yes then select correct attribute when the serial is captured in oracle. 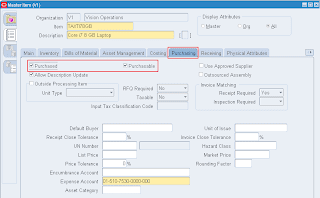 Returnable - If you want to enable RMA returns. 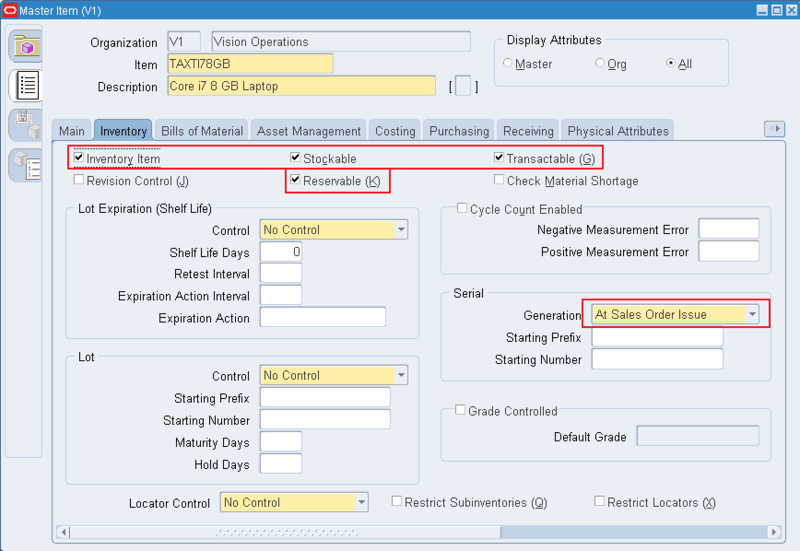 Enabled Contract Coverage - This check determines that a product can be covered under service contract or not. 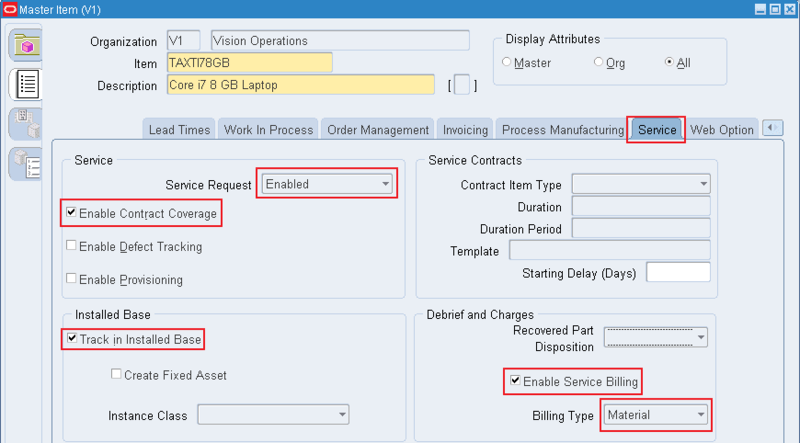 Track In Installed Base - It will be auto selected once you select Enabled Contract Coverage. Enable Defect Tracking - If you want to track the defect for this item then select this check box. 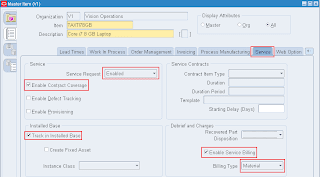 Enable Service Billing - Check this box if you want to charge service cost while its repaired and not covered in contact. 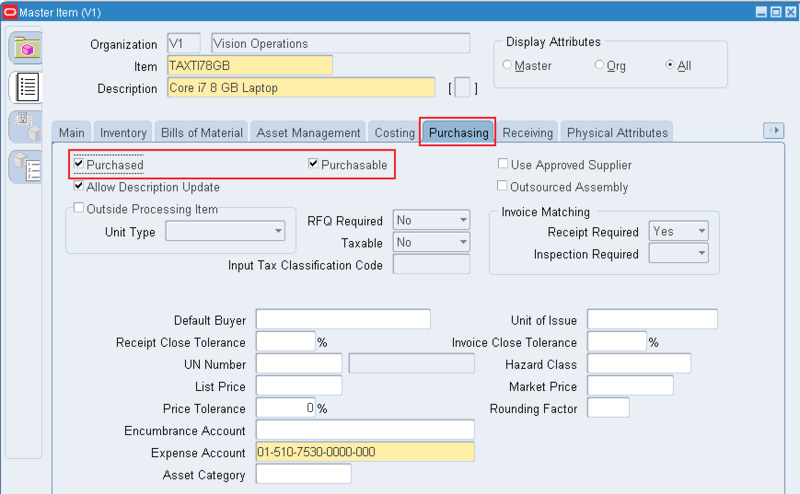 Billing Type - Select the billing type like, Material / Labor / Expense. Recovered Parts Disposition - Shows that if parts is replaced while service how the defected parts will be recovered and how fast.